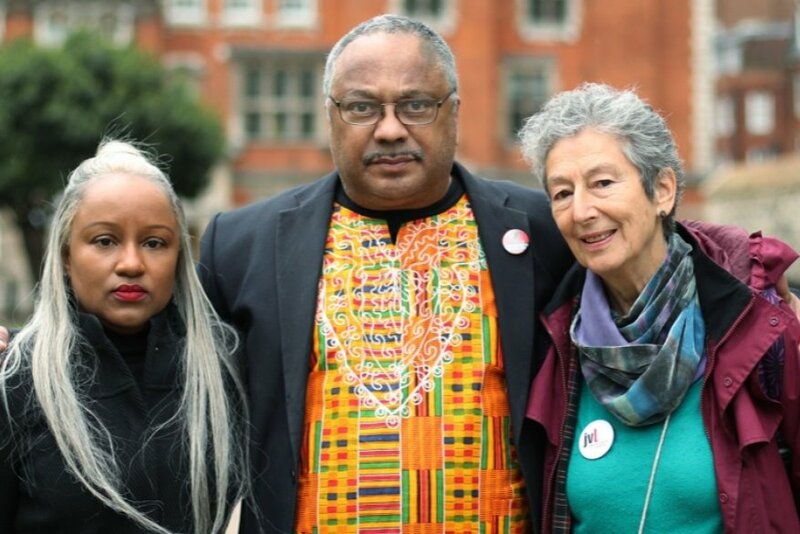 Photo: Deborah Hobson, Co-Chair, Grassroots Black Left, Marc Wadsworth and Naomi Wimborne-Idrissi of Jewish Voice for Labour. 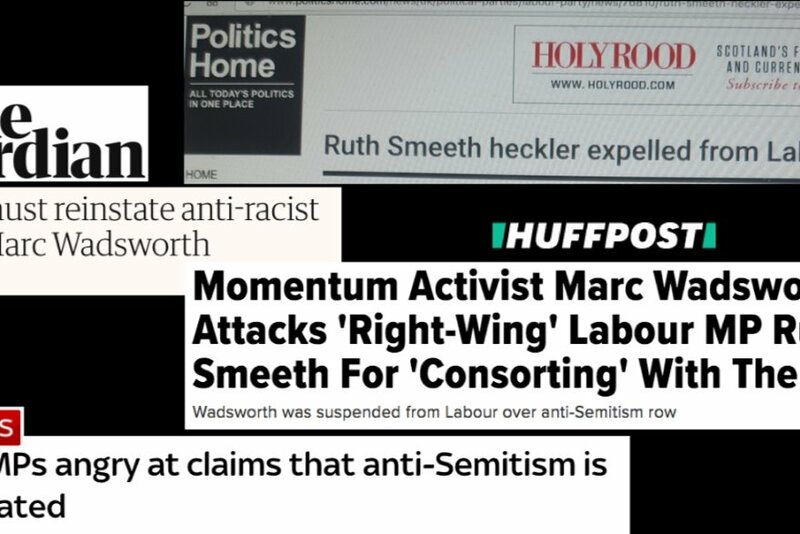 the Witchhunt, Jewish Voice for Labour and the Labour Representation Committee. It will kick off with a London gig at 7pm, on Tuesday, May 15, at the Indian YMCA, 41 Fitzroy Square, London W1T 6AQ, where Marc will be joined by, among other speakers, famous Jewish performer Alexei Sayle. Come join us. We're hoping the cost of the tour will be covered by generous public donations and that's why this crowd funding appeal has been launched. It will cover travel, accommodation and security plus any other reasonable expenses incurred, including loss of earnings. Any money left over will be donated to charity. The more money raised, the more people can be reached around the country. As a black activist, I've fought racism, antisemitism and other forms of bigotry, discrimination and prejudice all my life. 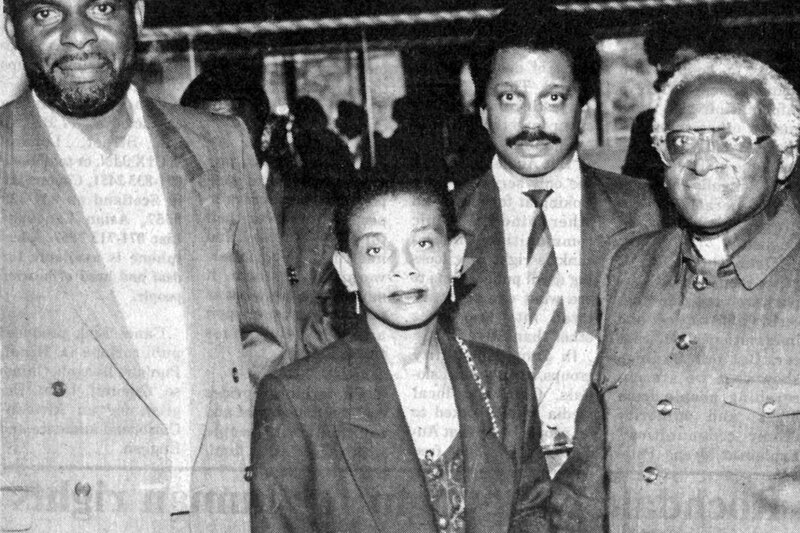 The Hitler-worshipping Combat 18 paramilitaries put me on a death list after I founded the Anti-Racist Alliance in 1991, and helped Doreen and Neville Lawrence set up their Justice for Stephen Lawrence campaign. After I was able to introduce Stephen's parents to Nelson Mandela, the campaign became the cause célèbre it deserved to be. This April marked the 25th anniversary of the black teenager's brutal, racist murder. I’ve been on the frontline, side by side with Jewish, black and other anti-racist campaigners, opposing the fascist BNP, including on the Isle of Dogs when one of their members was elected a councillor for the first time. Together we managed to shut down the BNP's “nazi bunker” headquarters in south east London, close to where Stephen was murdered. Despite my history of anti-racist campaigning, Labour expelled me by email the very same day of the June 30 2016 launch of the party’s Shami Chakrabarti report into antisemitism and racism I attended. I was shocked, thinking it must be a practical joke. I was caught up in what's been called a "media concocted firestorm”. Since then I've been pilloried and had my reputation trashed. Most painful has been the non-stop trial by media - print and online. It was a frenzied time when new leader Jeremy Corbyn, for whom tens of thousands of people - many of them young and turned off by the old corrupt politics - had joined the Labour Party because of his radicalism and honesty. At the Chakrabarti event, I handed out a press release in defence of him. I was dismayed when I saw journalist Kate McCann, from the arch anti-Labour Daily Telegraph, hand it to a member of the public. That person told me brusquely she was "Ruth Smeeth Labour MP". So, I suspected an unhealthy cosy relationship between the two of them. I later found out the MP was one of Corbyn's dissident frontbenchers who had resigned to damage him. Anyway, after being called out by McCann in a hostile question about me to the Labour leader, I responded by saying what I genuinely thought I had spotted. The MP walked out filmed by the cameras of news media uninterested in the important issues covered by the Chakrabarti report and looking for an anti-Corbyn scoop. I mainly spoke about the lack of black people at the event aimed at combatting racism and, sadly, the journalists were not interested in that. Corbyn sympathetically supported my observation and said the party needed to do better to improve black representation. I didn't know the MP involved was Jewish. Here’s the short video clip of what I said.